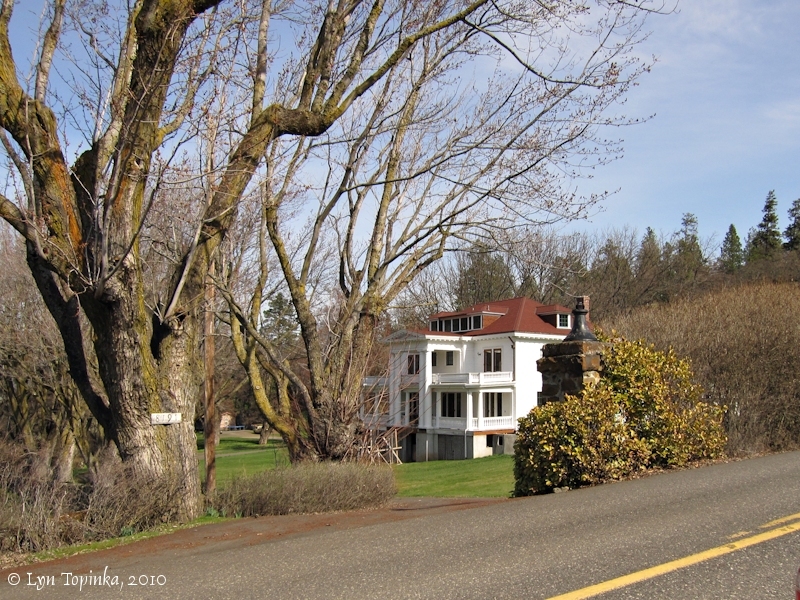 The Mayerdale Place, finished in 1913, is located on the north side of the Historic Columbia River Highway between Mosier and Rowena Crest. 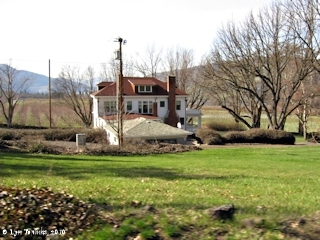 According to the "a2zgorge.info" website (2010): "In 1910 Mark Mayer established a home and a 230 acre apple orchard in Mosier. 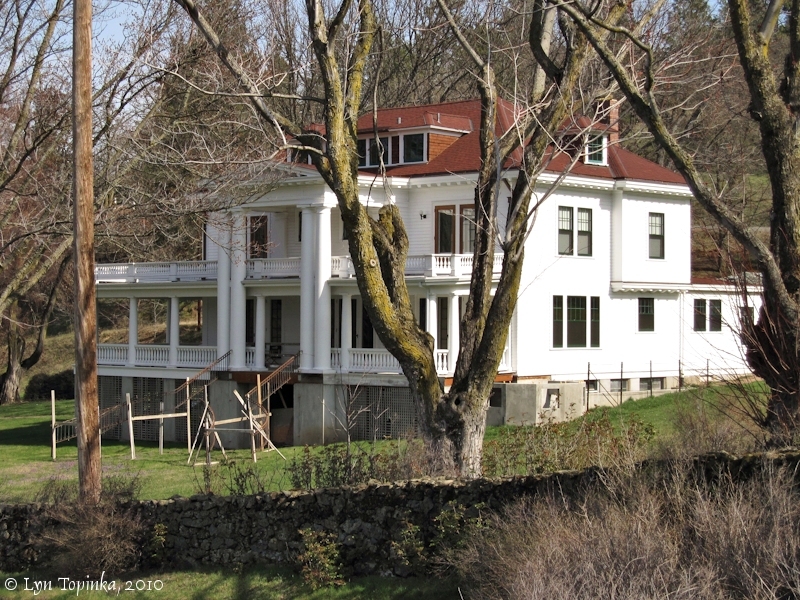 His home was a stately masion known as Mayerdale Place. 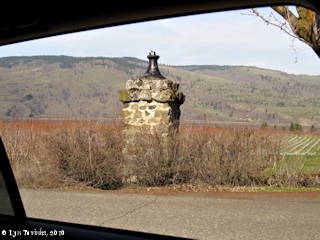 In addition he also donated to Wasco county that the land that is now known as Mayer State Park, near Rowena, on the Columbia River." The Mayerdale Place is located on the Historic Columbia River Highway. Click image to enlarge HISTORICAL Newspaper image, Mayerdale Place, Mosier, Oregon. 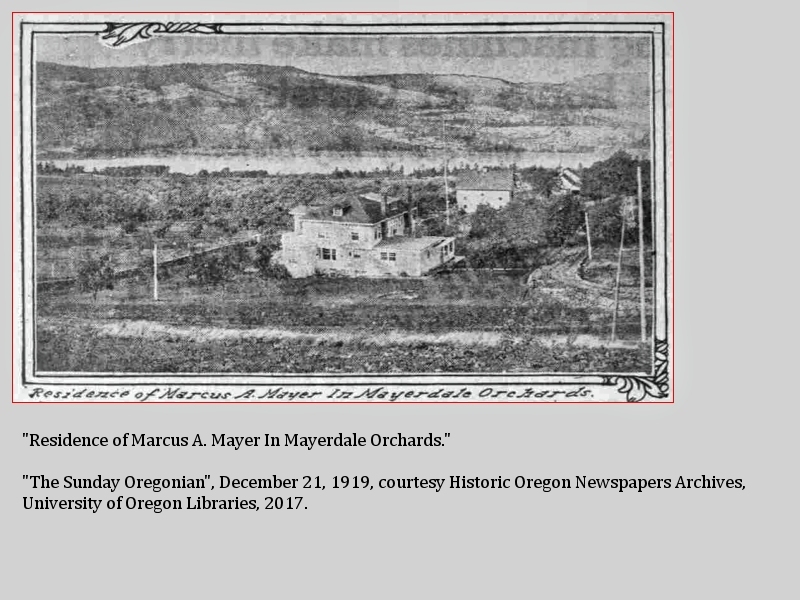 Image from Sunday Oregonian, December 21, 1919, courtesy Historic Oregon Newspaper Archives, University of Oregon Libraries, 2016. 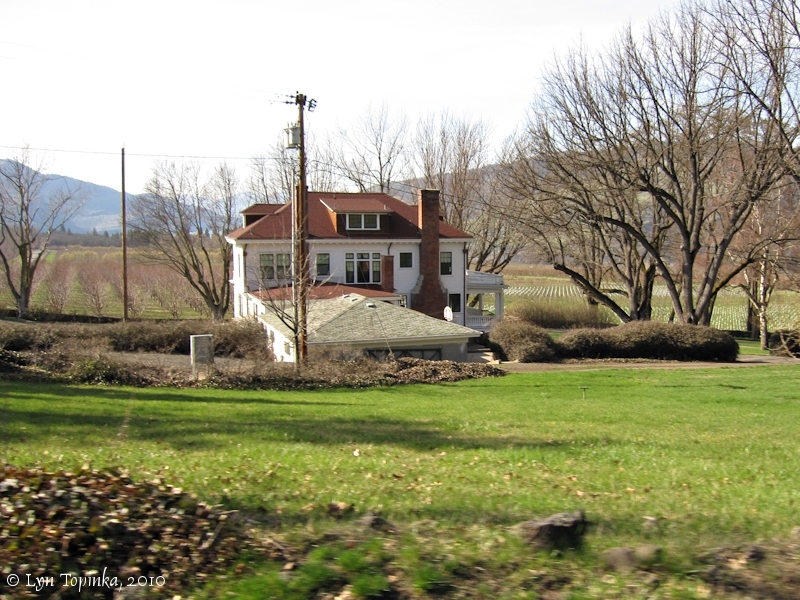 Click image to enlarge Mayerdale Place, view from the east, Mosier, Oregon. 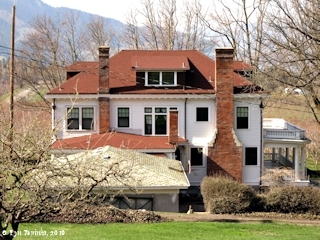 Image taken March 6, 2010. Click image to enlarge Bell, Mayerdale Place, Mosier, Oregon. 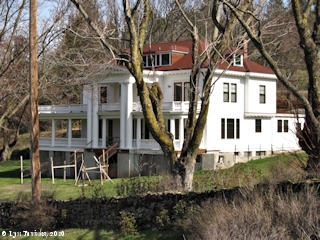 Image taken March 6, 2010.